Prince Louis-Albert De Broglie, a royal from Normandy who owns the 16th century Chateau de la Bourdaisiere is renowned for his collection of tomatoes. 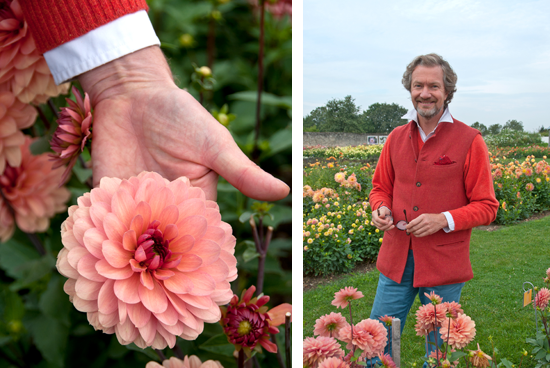 Tucked away at the back of the potager is his Le Dahlia Color Garden where 100 varieties of Dahlias are growing. I simply love dahlias and everything about them.